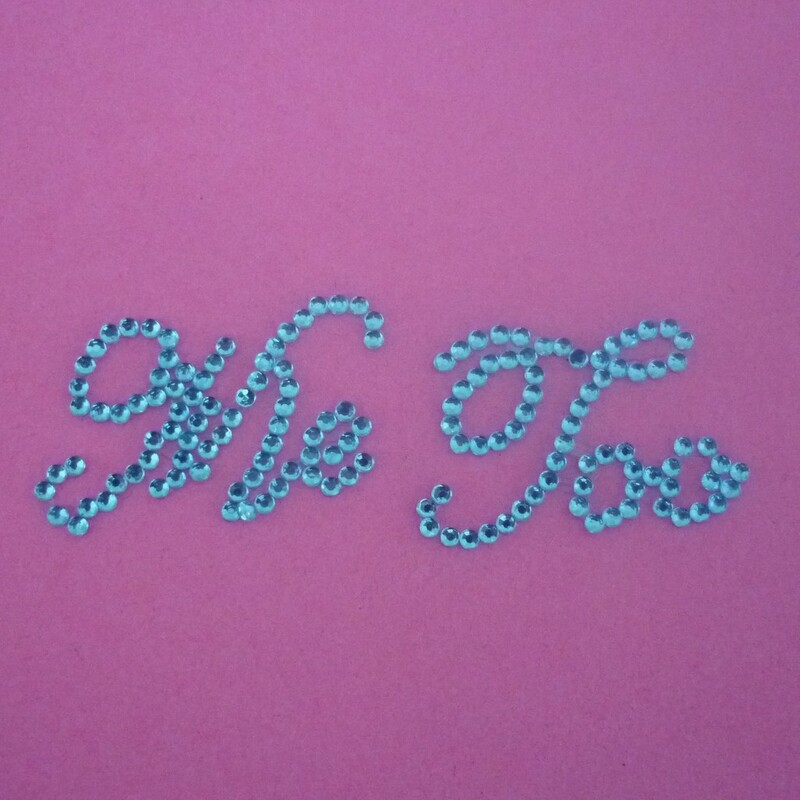 These gorgeous I Do and Me Too shoe stickers are made with tiny blue rhinestones. They affix easily to the bottom of your bridal shoes and are so pretty! Our shoe stickers are great fun for your wedding day, show them off in your 'getting ready' photos, during the wedding or if you will be kneeling at an altar during the ceremony.